I had a trip snafu this New Year which disappointed me for I was not able to meet again the PSSS donor, Jun Marquez. We were supposed to meet in Leyte and he gave the new date, January 3, a reset of our earlier meet that was supposed to happen before New Year. I had a little trepidation with that date when I knew it because I have to leave Davao on January 2 as the trip to Leyte is nearly a whole day. But January 2 and 3 are normally the busiest travel days for those who took a New Year visit to their loved ones. I knew it will be a little tough but I was more optimistic compared to an overnight ferry which has only nightly departures. 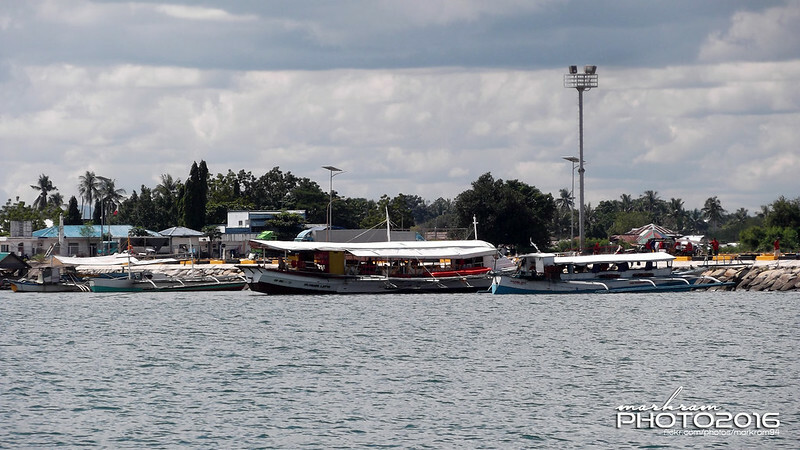 In the short-distance Surigao-Leyte route there are several trips in a day and miss one or two, there is a high chance that one can ride the next ferry. And I wouldn’t mind a little delay in Lipata port if it will afford me more ship spotting chances. 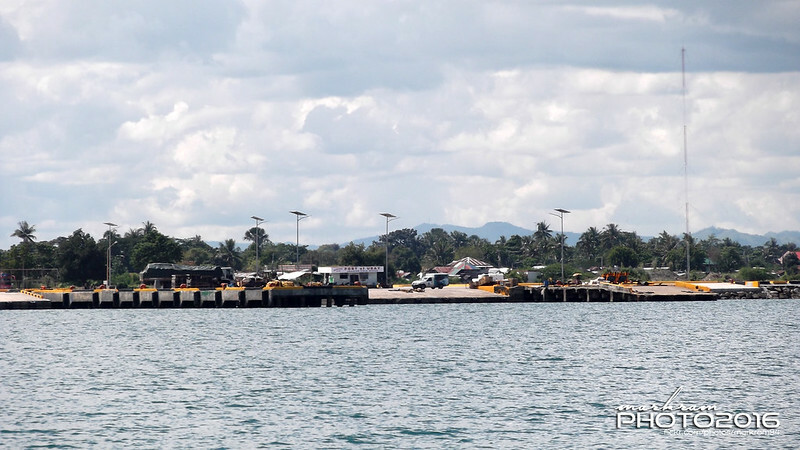 I had been in 11-hour waits in Liloan port before and so I already know what to expect. But then a weather disturbance that I have been monitoring thwarted my plans. 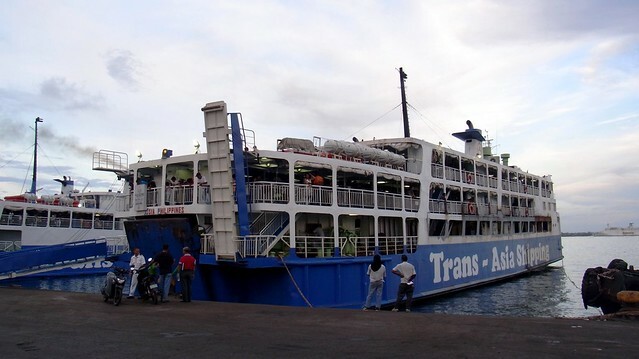 It developed into a Tropical Depression (TD) and at the current standard of government now, that will mean automatic trip suspensions of ferries and it began in the afternoon of January 1 which lasted until noon of the next day. With a suspension, there will be stranded vehicles and passengers and they will be the priority when trips resume. Higher in priority too are the bus passengers, the truck crews and the driver and passengers of the private cars. Now, I don’t usually take a direct trip as I am used to fractional rides as that is cheaper, faster and more flexible. 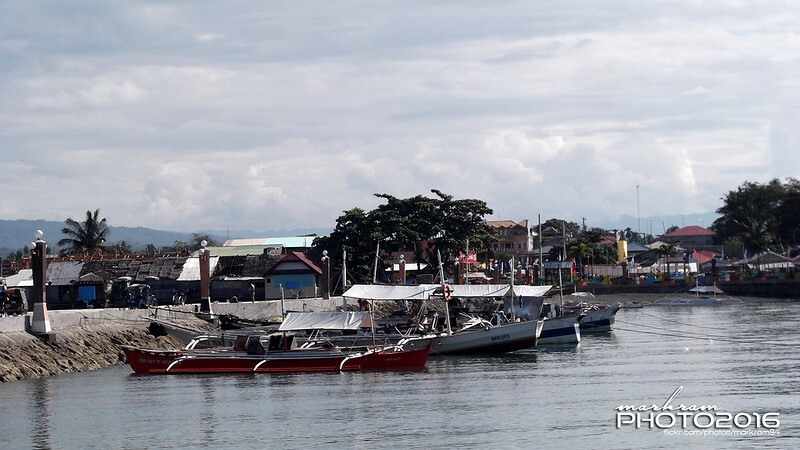 Normally, crossing Surigao Strait is already tough under normal circumstances in this time of the year. I have been to overloaded ferries in the past in this crossing when there were no more seats available. But recently, it seems the Coast Guard are already more strict. With a such tightness, me and Jun decided to call off our meet. He would be leaving for Cebu on January 3 too and even before I arrive in Leyte there are no more available ferry tickets to Cebu. With such a situation, I was prepared to take the 3am Ceres bus to Cebu via Palompon and Bogo. Or alternatively, go to Hilongos, take the ferry there to Ubay, Bohol, roll into Tubigon and take the ferry there to Cebu. But being no longer young, I already have doubts if I still have the stamina for extended trips not in a private, air-conditioned vehicle where I can rest well (thanks again, Joe Cardenas for the ride the other Christmas). Such snafu reminded me of trips years before where I was more successful in tight circumstances. 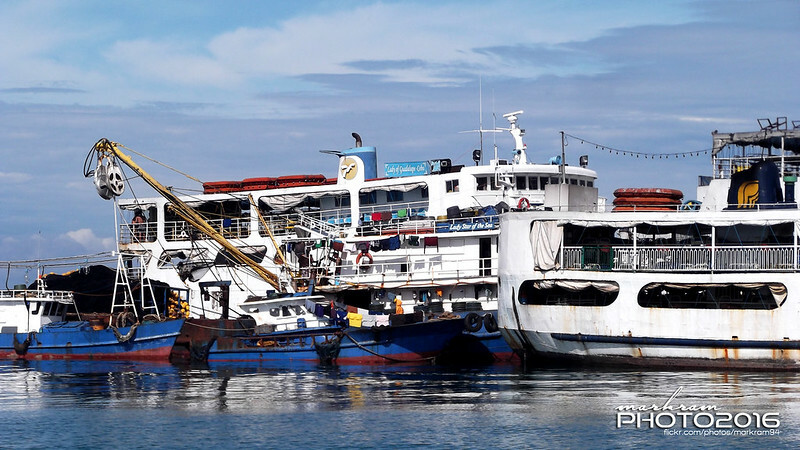 I remember a December 24 when after visiting my sick mother I arrived in Lipata Ferry Terminal with the Millennium Uno still around as it was held up by the Coast Guard for being overloaded. A stand-off ensued as no one among the passengers wants to get off (who would anyway in a ferry that will be the last to leave that will still deliver the passengers before Noche Buena?). Of course, they were no longer selling tickets but somebody in the port whispered to me that in the end the Coast Guard will relent and let the ferry sail (but the implication is the Coast Guard commander won’t be signing the clearance). He said I should time it when the commander is set to get off and with the ferry already starting to back off and the ramp is already going up. I know that window. It usually lasts about three seconds long only and my adviser said I should say the magic Bisayan word “hangyo” which translates into a plea. There were two others besides me waiting for that chance also. And so the commander appeared, his face was of frustration and a little anger but still we said the magic word and he nodded. What a joy! We all made our jump and we all made it. There were a lot of passengers which missed the ferry and they were surprised by our maneuver. Of course, it was not a free ride. They still charged us the fare but so what? The important thing is we had a ride. I arrived at home December 25 at 1am. A little late but it didn’t matter anymore. 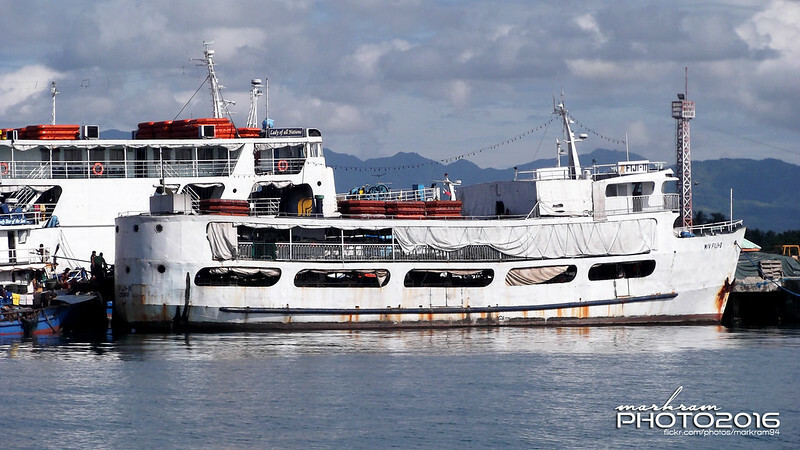 I also remember my ride aboard the Our Lady of Merjugorje which was the last ferry that will bring me home before Christmas. 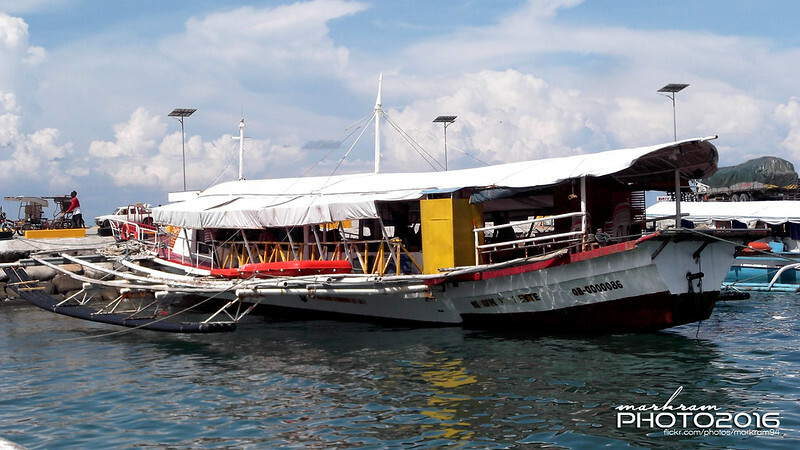 I came direct from a delivery in Bicol and I arrived in North Harbor on December 24 at 2am. The ETA of the ship was 5am but when I went to the ticket counter in Pier 6, I was surprised there were about 800 people lined up already. With a passenger capacity of just over 1,300 persons, I knew immediately not all of us can be accommodated. I knew what to do in such circumstances in those times then. I used to leave vehicles for pick-up in the Gothong parking area. I will just look for the Chief Security Officer and leave him the keys of the vehicle. Of course, there should be something for him. Never lost a car that way. So I went looking for the CSO. I found him alright but he was not the same guy I knew before. Still, I laid to him my problem and need. He said he will talk to someone. By 3am he came back and said I am Priority #1 and asked me the amount for my ticket. Gave it to him plus his Christmas bills too. By 3:30am I had my ticket already and I boarded the ship. In this case I was at home before Noche Buena. I have less trouble with other routes because maybe I also know how to stay clear of the crunch (and also I know how to check the weather). But in this recent case the date was not my choosing, a weather disturbance occurred and at dates where the crunch was heaviest. I let it pass this time especially since I am faced with a possible stranding in Leyte. And with such tightness I will also lose options to maximize my ship spotting. Normally, I avoid night strait crossings if I can avoid it as shots are limited by the dark. In this case there was also a weather disturbance with rains possibly lessening shot opportunities. I won’t be going anytime soon. I want a schedule where I can maximize everything including bus spotting as my file of bus photos are now depleted. Usually, I avoid this time of the year when the amihan (northeast monsoon) is at its peak because that means a lot of rain and rain is the bane of good and many photos. Best is the turn of the month to February when the temperature is still cool, it is still lean month for the buses (and so discounts are more available) and the rain is already less. So, that’s it. I just hope it will be better a month from now. After the success of PSSS Anniversary Shipspotting Tour 2016(see sir Mike articles), We arrived safely at Tacloban Bus Terminal past 12:00am of December 13(It was PSSS Anniversary Day). Thanks to sir Joe driving skills. While waiting for the bus trip, We were having some sort of discussions in relation to ships and buses and of course suggestion as to where I should passed by to go back to Cebu. Originally, I wanted to take Filipinas Cebu in Palompon and since James told me that Filipinas Cebu was drydock so other option was to take SuperJoy or Oroquieta Stars of Roble for its 9am and 10am trip in Hilongos but James suggested that I should passed by in Bohol since it has been a long time to have a coverage on that area. It was a better suggestion so I decided to take the Bato-Ubay route instead of direct Hilongos-Cebu. At around 3:00am, we split together towards our destination. Sir Mike and sir Joe went to Surigao, James to Isabel and Me to Bato, Leyte. I rode a local bus bound for Maasin departs at 4:00am. It was only few passengers onboard inside the bus from Tacloban Bus Terminal but as we go along the trip, almost got full of passengers. It was a nice trip and it was very cold as we passed by in the mountain. At around 8:00am, I arrived safely in Bato, Leyte and took a shower at the Bath Station. It was well clean and organized. Then had a breakfast before my trip to Ubay, Bohol. I rode a sikad bound for Bato Port(It is very near from the market but I feel tired) and to my suprise, sikad operators can transport you directly to the ship or banca. But before I entered to Bato Port, I am supposed to booked a ticket of Medallion bound for Ubay for a 10:00am trip suddenly the ticketing officer told me that the trip got delayed as they have to wait the Manila buses so instead I tried to take the Motor Banca for the 9:30am trip. The regular fare is P260.00 and the student fare is P250 including P5.00 terminal fee although I didn’t see a port terminal in Bato perhaps that is for the entrance fee. I grabbed the student fare without showing the school ID’s at least I saved P10.00. And a bit cheaper than Medallion fare which is around P290.00-P300.00 per pax. So finally I aboard a motor banca bound for Ubay, Bohol. A plenty of passengers onboard that is why I am seated near the engine area which is very inconvenient due to loud noise while cruising. It was a sunny weather and the sea is calm. At exactly 9:30am, we leaved Bato Port and I took some good shots. The motor bancas typically runs at 8-10 kts enough to sail on this short route. It was a smooth trip and I recommend for those who want to try motor bancas. So much options to ply in Leyte-Bohol routes. There are motor bancas plying from Hilongos-Ubay and Maasin-Ubay. trip of Star Crafts bound for Cebu. I arrived in Tubigon with strong rain. Bingo! I brought my umbrella so better to bring it in case of weather disturbances. So I went to ticketing office to book my 6:25pm trip of Star Crafts bound for Cebu. Illegal exaction still there you have to pay P5.00 before going to the port. Bought some delicacies(common pasalubong is Calamay) and ate my dinner before boarding. While waiting for the boarding time, I took the shot of Lite Ferry 23 and Star Crafts 9(finally my wish list FC to ride for). I boarded Star Crafts 9 at 6:00pm and departed on time. She was still fast at 1 hour trip duration. Finally, I arrived in Cebu safe and sound at night time.